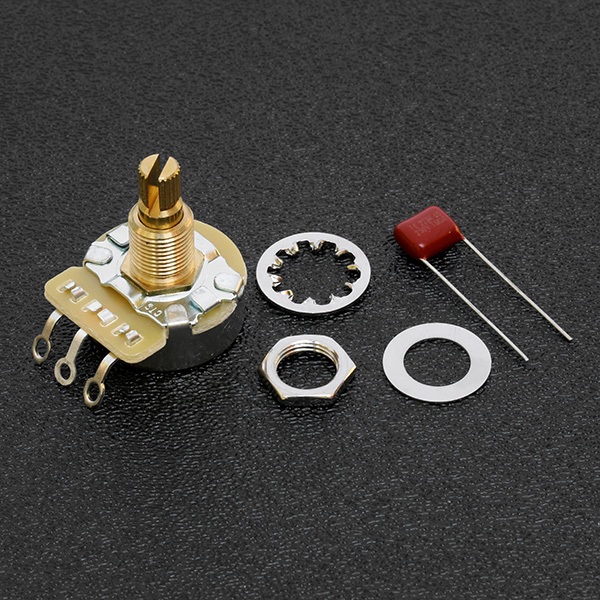 Genuine Fender® (CTS) 500K split shaft volume / tone potentiometer. Accepts standard push-on knobs. Includes 0.022 uF tone capacitor, hex nut, flat (dress) washer and locking star washer.